While national health transformation presents an opportunity for millions of currently- uninsured Americans to obtain health insurance coverage, it does not guarantee that all children and families will have access to care that is adequate, affordable, and continuous. Gaps in care may remain for women and children, particularly children and youth with special health care needs, those who live in states that do not expand Medicaid, undocumented immigrants, and refugees. Navigating through the turbulent currents of health care reform will be challenging, particularly where cultural and linguistic barriers, health disparities, immigration status, and differences in state decisions regarding Medicaid expansion will impact health outcomes. 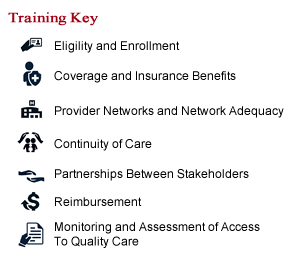 While many of these learning opportunities focus on the Affordable Care Act as a model, lessons learned can be applied in multiple settings and with multiple plans. This Spotlight focuses on promising practices and pressing issues that will support MCH professionals facilitate greater health care access for all and remain on course for a healthier tomorrow. It addresses the 7 content areas identified by the National MCH Workforce Development Center. Use the Key at the right to identify learning opportunities that address these content areas. (Note: many training address multiple content areas). Building Bridges Across the Professions: Promoting Successful Intraprofessional Collaborations. The presenter discusses ways to promote successful collaborations using a comprehensive approach that addresses culture, leadership, and the role of interpersonal dynamics. Date Developed: 03/30/2011. Source: Midwest Center for Lifelong Learning in Public Health, University of Minnesota. Presenter(s): Jaime Lester, PhD. Type: Video Lecture. Level: Intermediate. Length: 108 minutes. Introduction to Program Monitoring and Evaluation in Maternal and Child Health: Session One – Monitoring & Evaluation: What? When? Who? The presenter describes three types of evaluation used in the implementation of MCH programs, details the difference between monitoring and evaluation, and shares the standards and guiding principles individuals should follow when conducting evaluation. Date Developed: 2012. Source: South Central Public Health Training Center. Presenter(s): Francoise Grossman, RN, MPH. Type: Video Slide Module. Level: Introductory. Length: 120 minutes. Maximizing Enrollment Under the ACA: Lessons from the States (2013). Presenters share lessons learned that may be useful for state and federal policymakers as ACA implementation moves forward. Panelists highlight state innovations that make enrollment faster, more efficient, and more effective, and define realistic expectations for participation levels under the ACA. Date Developed: 12/17/2013. Source: Urban Institute. Presenter(s): Susan Dentzer (moderator), Stan Dorn, Alice Weiss, Gretel Felton, Rebecca Mendoza. Type: Video lecture. Level: Introductory. Length: 90 minutes. Measuring the Return on Investment in Maternal and Child Health Programs.This webinar, part of the DataSpeak web conference series, presents three case studies that explain how to show return on investment (ROI) through different analysis. Date Developed: 10/17/2013. Source : U.S. Maternal and Child Health Bureau. Presenter(s): Scott Grosse, PhD; Stephanie Lee; Ricardo Basurto-Dávila, PhD, MSc. Type: Webinar Archive. Level: Intermediate. Length: 90 minutes. More than Money: The Keys to Achieving Long-Term Sustainability. This four-part webinar series focuses on providing the public health community with practical knowledge on sustainability based on Monroe's "fundamental principles and practices to promote program sustainability -- Results, Resources, and Relationships.” The webinars are meant to apply broadly to Healthy Tomorrows projects and can be extrapolated to other Title V programs. Date Developed: 05/2013 - 08/2013. Source: National Healthy Tomorrows Technical Assistance Resource Center at the American Academy of Pediatrics. Presenter(s): Kevin D. Monroe. Type: Webinar Archive. Level: Intermediate. Lengths: Webinar #1: 65 minutes; webinar #2: 50 minutes; webinar #3: 66 minutes; webinar #4: 70 minutes. Preparing for Outreach and Enrollment Under the Affordable Care Act: Lessons from the States(2013). Presenters examine the lessons, challenges, and successes of three leading states -- Maryland, Nevada and Oregon -- in effective outreach and enrollment efforts. Date Developed: 09/24/2013. Source: The Henry J. Kaiser Family Foundation. Presenter(s): Diane Rowland (moderator), Samantha Artiga, Kathleen Westcoat, Samantha Shepherd, Niki King, Manny Lopes. Type: Podcast. Level: Introductory. Length: 90 minutes. State Experience with ACA Open Enrollment: Successes and Lessons. Date Developed: 10/05/2013. Presenters: Joanne Jee, Michael Koetting, Richard Onizuka, and John Supra. Type: Webinar Archive. Level: Introductory. Length: 90 minutes. Source: National Academy for State Health Policy. Children and Youth with Special Health Care Needs (CYSHCN) Training Spotlight. Trainings organized by the Core Domains for System Standards developed by the National Consensus Framework for Systems of Care for Children and Youth with Special Health Care Needs Project. Quality Improvement Training Spotlight. Trainings focused on a formal approach to the analysis of performance and systematic efforts to improve it. Change Management Spotlight. Trainings organized by the five Change Management Competencies Needed by Public Health Managers (Thompson JM). 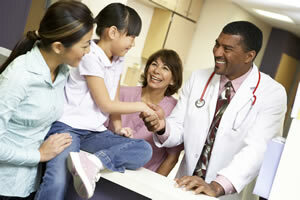 Children and Youth with Special Health Care Needs Professional Resource Guide. 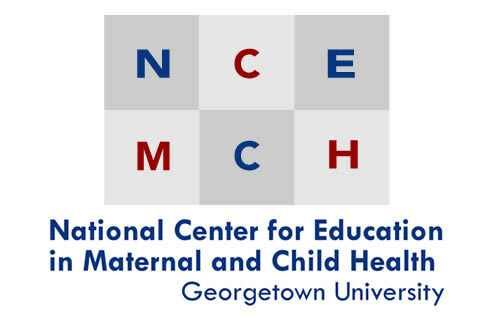 Directs readers to a selection of current, high-quality resources that analyze data, describe effective programs, and report on policy and research aimed at developing systems of care that are family-centered, community-based, coordinated, and culturally competent.